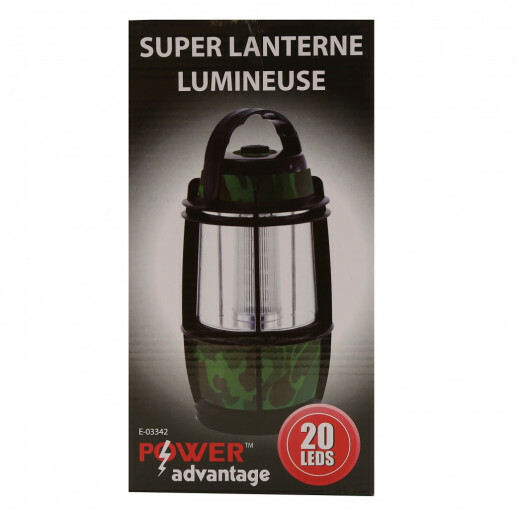 Light up the night with a super bright lantern. Gradually set the perfect level of light with the easy to adjust knob. Great for camping, outdoor activities and emergency situations. Features a rugged, durable housing, easy to carry with a collapsible handle for hanging. Knob easily adjusts the level of light needed. Even has a safety reflective rim, LED bulb life lasts up to 100,000 hours. Requires 3 'D' batteries not included. Lantern measures 3.1" x 4.3" x 9". DIMENSIONS: 5.00" x 5.12" x 9.25"